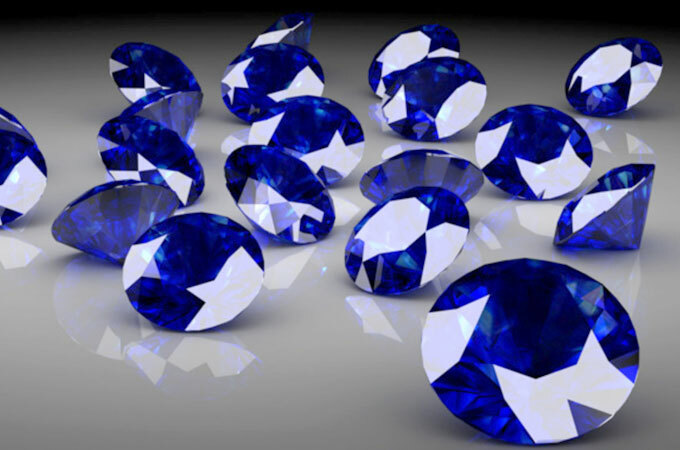 The 65th wedding anniversary deserves recognition, and the gemstone associated with this milestone is the blue sapphire, symbolic of loyalty and some say can bring inner peace and can bring fulfilment of dreams and prosperity. This beautiful gemstone makes stunning jewellery for both men and women so why not splash out on his and her rings. The colour associated with the 65th wedding anniversary is blue, symbolic of trust and peace, loyalty and integrity all characteristics you would expect in a couple celebrating 65 years of marriage. It is possible that you were married the same year Grace Kelly married her Prince, so make this your ‘royal’ occasion. Children, grandchildren and even great grandchildren may well want to club together to organise that extra special event, so why not consider a family break to a castle, there are many to choose from and it would be a wonderful gift for the royalty in your family. Couples celebrating their 65th wedding anniversary may also receive a card from the Queen, this can be organised through Buckingham Palace. Make sure your special couple get theirs. There does not appear to be a specific flower associated with 65 years of marriage, so why not buy a mixed bunch of sapphire blue flowers, for example blue hydrangea and delphiniums mixed with some white roses, in keeping with the relative theme of this anniversary and a stunning and fragrant gift. It could be that your tradition is a family meal, taking over a restaurant can be arranged with some careful planning, especially if it is a favourite restaurant of the anniversary couple. Whatever the decision, many congratulations on your 65th wedding anniversary and be sure to enjoy this very special day. Can I have more information on getting a card from the queen please? My Mom and Dad, Lawrence and Janet Gatz are celebrating their 65th anniversary on January 5th 2018. I would love to get them a letter from the queen. I like to get a card from the Queen Elizabeth too. My parents are on there 65th years anniverarty starting in March 6, 2019. Can anyone contact the Queen. Queen, we know they would love a card from her congrats from Her Majesty. On our 5th anniversary. Hope and pray everyday we are able to celebrate 60+ more wonderful years. God bless. North Carolina, U.S.A.